Erstwhile work in the area was established largely to outline rudimentary geological mapping and regional reconnaissance geochemical sampling conducted from 1926 onwards and into early 1970’s by the Geological Survey Department under the direction of J. D. Pollet. Years after, V. Marmo mapped the granite fringes of the Schist Belt, reworked and amplified the petrology of its interior. Within the last decade, an aeromagnetic survey followed by other geoscientific dataset and regional geochemical surveys were undertaken by the Sierra Leone Diamond Company (SLDC) covering the tenement and adjacent areas as part of their regional exploration campaign to locate gold, diamond and other minerals. 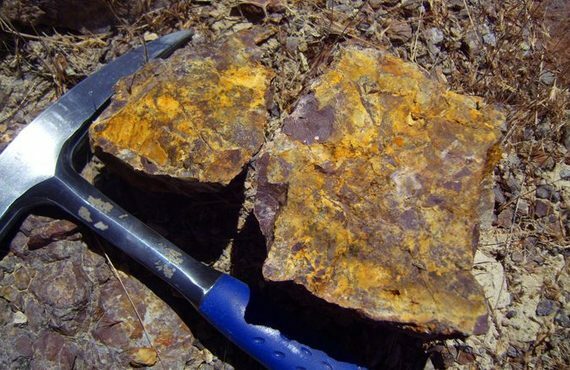 Similar exploration companies have seemingly carried out prospecting activities in the Loko Hills and West of the Sula Mountains for, gold and iron ore, supported by artisanal mining operations mainly, gold. Significant indicators of artisanal workings mainly for gold is evident with little signs of other minerals. Reports recently emerged that alluvial gold grains were discovered in a stream near Kagbasia village although independent confirmation of the source of mineralization is yet to be ascertained. A desk top review of previous published and unpublished data as well as stream geochemical data were collected and reviewed. Regional geochemical sampling survey covering the tenement and adjacent areas and all data relating to the programme of SLDC could not be accessed at this stage. The study however, revealed that no significant exploration work had been conducted within the concession in recent years. All historic mining operations in neighboring sheets are considered to have been relatively small scale and involved non-systematic or rudimentary artisanal workings. In context, the current exploration program by MAGNUM LINK (SL) LTD is a positive indicator of the prospectivity of the license area and its environs. In summary, this background information has therefore formed the basis for the application of an exploration license.